Speed: 4000 To 5000 R.p.m. (I) Single wall Chamber made of stainless steel. 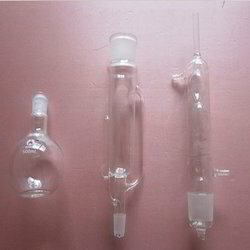 Soxhlet Extraction, consists of R.B. Flask , Extractor with flat flange, reduction adapter with flat flange and socket and double surface condenser. Cap. of Receiver : Cap. of R.b. ldeal heater for the extractors of Sox let and other types. This apparatus is suitable to heat sox let flasks of 50- 500ml. It consists of MS. sheet housing, two vertical & two horizontal rods with adopters and screws to hold the flasks. To work on 220/230 volts A.C. supply. 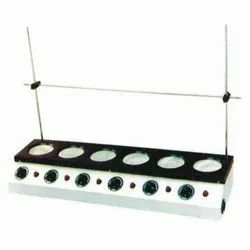 SOXHLET AND DIGESTION UNITS : JEQ-15Soxhlet And Digestion Units And Soxhlet Extraction Units (without glass parts) : Standard mild steel housing with heating mantles or hot plates for surface temperature upto 300°C. Owing to the rich industrial experience and expertise in this business, we are involved in providing Fat Extraction System.